The program builds on Quini’s popular brick and mortar wine tasting and education events launched in 2014. 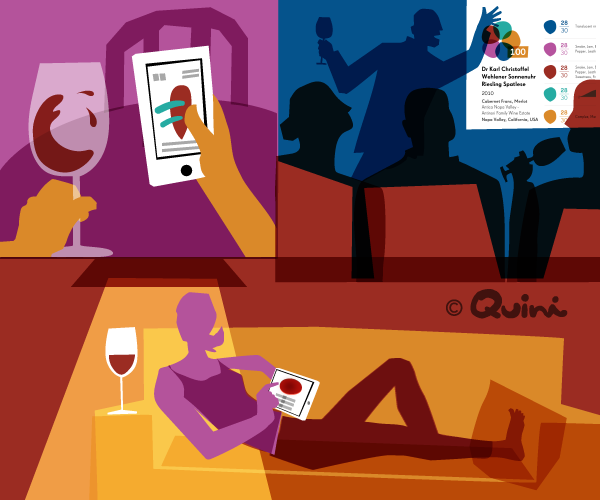 Delivered online, the initiative will enable Quini to accelerate adoption of its breakthrough educational wine app and wine tasting standard, by engaging connected wine enthusiasts virtually everywhere, from the comfort of their homes. Live, interactive one hour sessions will be delivered via an online webinar format, through the GoToWebinar platform. Each session will provide information on a specific wine topic and will invite participants to taste three wines of their choosing, following the Quini Wine Tasting Standard. Delivered by Quini Certified Educators (QCEs) including Quini and wine industry veteran Sean Weiderick, and wine educator Sam Hauck, AKA The Wine Teacher, the first four sessions will discuss BC wines, Italian wines, how to find quality wines at value prices, and Cabernets. For a full event schedule, session details and to RSVP, please visit Quini Events.